Should you upgrade to Broadwell powered PC? | PC Tips & Tricks PC Tips & Tricks: Should you upgrade to Broadwell powered PC? Should you upgrade to Broadwell powered PC? Now, more than ever we are inter-weaved with technology, we depend on its benefits that connect us on a global level. These technological advancements furthered our culture and science to such extent, that every citizen of the world today can acquire knowledge and power that no historical genius and monarch could have ever grasp before. Still, in this rapidly changing industry it’s hard to keep up with continuous upgrades and improvements that come out even on a daily basis. One of the examples of such change is within the realm of laptops – upgrading from Haswell to Broadwell. So what are the pros and cons of this change? 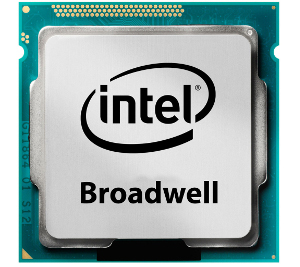 First things first, what exactly are Haswell and Broadwell? Well, both Haswell and Broadwell are Intel's core microarchitectures (Processors' architecture). Since the microarchitecture decides how well a processor performs, it is really an accounting factor when it comes down to buying a new Processor or a new PC in that regard. Haswell is a third iteration of Intel’s core microarchitecture processors. The chips based on Haswell are made of 3D tri-gate transistors with the 22 nm manufacturing process and were announced in late 2nd quarter of 2013. As each series of iteration of it’s core technology CPU units based on this microarchitecture were named Celeron, Pentium, i3, i5 and i7. Performance vise the jump from Ivy Bridge was quite low, exactly matched products per name (i7 3770K vs i7 4770K) were different from each other from ~1% - 10%, while sometimes they were even In some tests and the later had a bigger TDP of 7 Wats. Somewhere in the middle of 2014. Intel released a refresh of Haswell, which had higher clocks and nothing more, that’s why it was named Haswell Refresh. 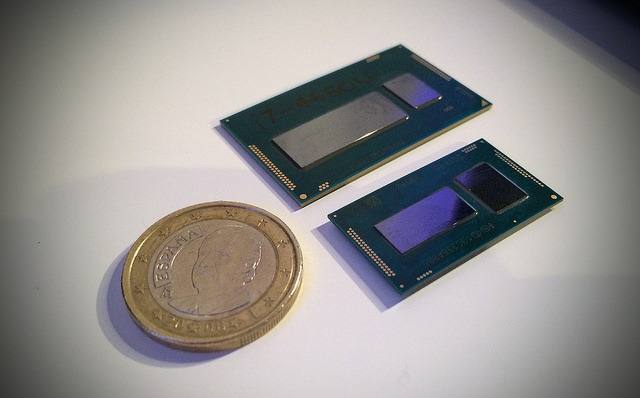 While Haswell was a new architecture, Broadwell is a simple die shrink of Haswell. It’s based on 14nm fabrication process and is intended for motherboards with Intel Z97, H97 and HM97 Chipset while some of the Intel series 8 chipsets are compatible too. Also Broadwell based processors intended for desktop are being released only in higher segments, namely i5 and i7 while all the others are remaining from Haswell series. The biggest “refresh” is in mobile segment given the smaller fabrication process, and improved power efficiency. The mobile segment is receiving a complete series overhaul all the way from Celerons up to i7s. 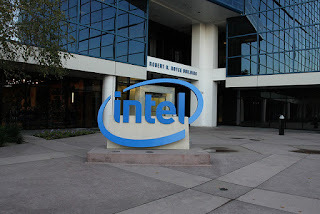 As stated before the main advantage of Broadwell based CPUs is in its power efficiency. However overall performance gain ain’t all that shiny. When compared to each other in synthetic and real time benchmarks the difference in performance is in lower ends of the scale <10%, which is you have to admit disappointing because since Sandy/Ivy Bridge we haven’t seen some nice 20-30% jumps or more. The main culprit for this state of manners might be found in Intel’s only competitor AMD. They have been performance runnerups ever since Intel released Core2 series CPUs and haven’t been able to truly jeopardize Intel ever since. The numbers speak for themselves, Intel owns 90+% of the notebook marketshare, they are everywhere, from office and multimedia to high – end business and gaming laptops (especially here). And if we are speaking from a computing power standpoint Intel’s latest processors aren’t bringing in anything revolutionary in the market. Not so tough question when giving everything stated above a thorough thought. Sure new technologies are always welcome and needed, as we do strive for newer, better and bigger (in this case smaller). But here we have marginal performance increase, better power/perf. ratio and some new technologies that less than 5% of us will actually have use for. The answer is if you already own a Haswell based laptop you should wait for Intel’s Skylake microarchitecture based CPUs that are scheduled for late 2015 release. Skylake is a completely new architecture, a “tock” in their tick-tock principle and should bring better performance gain than Broadwell. On the other hand if you are buying a new laptop without already owning one, it is completely unreasonable to go for anything else than Broadwell based product. You will have same or marginally better performance but better battery life, better thermal capabilities and thinner ultrabooks. Although a Physics graduate, Marcus opted for work in technology, marketing and web. He owns a Cat with a pirate eye patch, likes an occasional game or two and has seen Star Wars 44 times.